On Friday, we looked at the history behind Austria's national holiday, the day honouring the Declaration of Neutrality. Today we'll be looking at the languages spoken there, from the native and regional languages to the immigrant languages that have found their way into Austria. 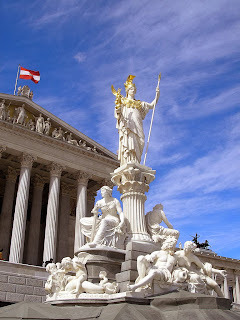 A statue of Athena, Parliament Building, Vienna. German, of course, more specifically Austrian German. Around 8.5 million people speak this variety of German and it's not only spoken in Austria. The region of South Tyrol, which ironically is found in the north of Italy, is also home to a number of Austrian German speakers. The variety of Croatian spoken in Burgenland by the Burgenland Croats is recognised as an official minority language in the eastern region. This was a direct result of the State Treaty we mentioned on Friday, which led to the Declaration of Neutrality. About 2.5% of Austria's population speak Burgenland Croatian, making it the most widely-spoken recognised minority language in Austria. The official language of Slovenia is also recognised a minority language in the Austrian region of Carinthia. The Carinthian Slovenes, who inhabit the region and speak the language, were also recognised as a minority in the State Treaty. Even though only 0.3% of Austria's population speaks Slovene, it enjoys a greater level of recognition than some of the other immigrant and minority languages. Serbian is the most widely-spoken minority language in Austria, with a similar number of speakers as that of Burgenland Croatian. However, Serbian does not have the same level of official recognition as Burgenland Croatian, although some linguists could argue that Serbian and Croatian are dialects of the same language. Much like Germany, Austria has become home to a significant number of Turkish immigrants. Of course, the Turkish immigrants their language with them, resulting in around 2.3% of the population speaking the Turkish language. The Hungarian language is spoken by around 20,000 people in Austria, amounting to a very low percentage of the population. Historically, Hungarian was an important language in Austria owing to the union between Austria and Hungary from 1867 to 1918. Are there any important languages in Austria that we've missed? Tell us about them in the comment below. We'll be back on Wednesday with our language profile for the week. As we pre-empt Austria's national holiday, which occurs 26 October, we will be seeing which languages are spoken in the country. However, before we get onto the languages, today we'll be looking at the background and history as to why tomorrow is Austria's national holiday. The national holiday was initially called Day of the Flag, at least from 1955 to 1965. It commemorated the Declaration of Neutrality, an act of the Austrian parliament which unsurprisingly declared Austria's neutrality. Following the Second World War, Austria had been occupied in a similar fashion to Germany,j by Allied forces. Regions of Austria were split into zones of occupation between France, the UK, the US, and the Soviet Union. The capital, Vienna, which sat within the Soviet Zone of Occupation, was also divided up into zones of occupation between the four powers. The beautiful city of Vienna, as it was in 1640. On 15 May 1955, the Austrian State Treaty was signed making Austria an independent nation. The treaty, which was signed by both Austria and the Allied nations that occupied it, came into effect on 27 July 1955. The treaty expressed the minority rights of Slovenes and Croats, as well as banning a political union with Germany and prohibiting Nazi and fascist organisations. Austria stated that it would declare itself neutral, as the USSR did not wish for Austria to join NATO once Soviet troops had withdrawn. Allied troops left Austria on 25 October 1955, and though it is sometimes thought that the Austrian national holiday the following day commemorates this, it in fact commemorates the Declaration of Neutrality, which was enacted on the 26 October 1955. The declaration, which makes up part of Austria's Constitution, stipulates that Austria forever be neutral according to their constitution and international law. We'll be back after the weekend with a look at the languages spoken in Austria. Learning a language poses exceptional hardships that are difficult for some students to overcome. One such difficulty is the lack of motivation that can accompany frustration in learning a language. 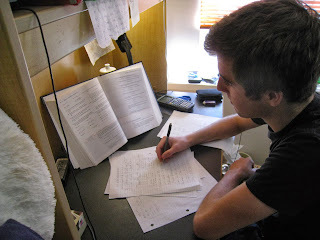 According to language experts at SolidEssay.com, a college paper writing service, English is a particularly difficult language to learn due to various roots it possesses from other languages; thus, grammar, syntax, and pronunciation are not common to most students. Taking into consideration importance of English in a global context, motivating students is a particularly important task that must be completed with aplomb if one is to help students learn. There are two types of motivation that will be explored. The first is positive motivation and the second one is negative motivation. The vehicles of these two types of motivations will differ according to the age structures of the students. When a person, specifically a student, embarks on learning a foreign language they are tasked with acquiring a new set of grammar, pronunciation and diction rules that they have not previously known. Considering the degree of difficulty posed, it is quite reasonable to assume that there is a risk of loss of motivation in learning a new language if a student does not feel adequate progress is being made. In order for the learning process to be facilitated and for the student to feel that actual progress is being made, it is crucial to motivate him or her. There are various types of motivation, both positive and negative, that can affect students’ performance and progress in learning new language. Positive motivation includes a reward structure while negative motivation includes punitive measures, which are covered in a grading structure. Positive motivation for a student to learn English can emulate a structure of differing levels that have accompanying perks. In the same way that a promotion works in the labor world, a student has different privileges granted when performance quotas are met. This structure must adhere to the age of students that are learning English; therefore, in order to proceed with this argument, we are going to assume an average age of students between 14 and 18. Certain privileges for students of that age group, assuming they are learning in a structured environment such as school, may include less homework or more enjoyable language exercises. These rewards can evoke a sense of justification for the hard work a student puts into learning a language and serve as a motivational factor for them. Examinations and grading are forms of negative motivation. Negative motivation is most commonly seen in the form of a grading structure. The grading structure serves a twofold purpose. The first is to track performance of the student and the second one is to motivate those that are not performing adequately. The grading structure in the aforementioned age structure is even more powerful because students are able to better comprehend a failing grade versus a satisfactory grade. A student that is not performing and has a below average grade will be subject to judgment of their peers. The innate fear of being judged differently by your peers due to poor performance is a negative motivational factor. Students who seek approval would be more keen in improving their grade in order to seek approval. It is important to understand that not all students will excel in learning a new language. However, with appropriate methods and motivation not only on the students’ part but also on the educator’s, the process could be made simpler and much more enjoyable. Steven Armstrong is a freelance writer specializing on college essay writing, working with different educational paper research companies, including SolidEssay.com. Though a fairly touchy subject amongst professional translators, machine translation is a field that has always interested us here at The Lingua File. Machine translation had been theorised before the 1950s but today we'll be looking at one of the first forays into the field. In the 1950s Soviet-American relations were poor, as they were during much of the late 20th century. The Russian language was of particular interest to the Americans, and though professional translations were available, there were concerns that human translations were subject to political bias and interference. The concept of machine translation had been suggested as early as the 17th century by philosophers René Descartes and Gottfried Wilhelm Leibniz. However, it was a discussion between Warren Weaver and Andrew Booth in 1947 that suggested that natural languages could be translated via the use of a computer. Between the late 1940s and early 1950s, several experiments in machine (or mechanical) translation were conducted. However, these experiments were limited, used punched card systems, and were hardly groundbreaking. Leon Dostert, a translator who had worked with American president Dwight D. Eisenhower during the war and had acted as a liaison officer for Charles de Gaulle, was invited to a conference on mechanical translation at MIT in 1952. Though Dostert was sceptical of the potential of machine translation, by the end of the conference he was convinced there was a future in the field. He did doubt the capable scope of machine translation and preferred experimental methodologies over theoretical approaches to the field. Dostert had discussed with several other linguists whether or not machine translation was a viable aim, and following the feedback that it was, set out to complete work in machine translation. Convinced that a small-scale experiment could prove fruitful, Dostert contacted IBM founder Thomas J. Watson, a close friend, to collaborate. The IBM 701 machine that had been released the year previous was used and the programming was written in machine code, a programming language that gives instructions directly to the machine's Central Processing Unit or CPU. IBM chose Peter Sheridan to complete the task of writing the code for the experiment. Given that translating from Russian would be the best choice for the experiment since German was no longer considered the language of the enemy and information coming from Soviet Russia was limited, Dostert believed that another language expert was needed. He found help and a collaborator in the form of Paul Garvin, a lecturer from the Institute of Languages and Linguistics at Georgetown University in Washington D.C., which was in fact set up by Dostert himself. Garvin was an expert in Russian, as well as many other languages. He was born in Karlsbad, Czechoslovakia and had emigrated to the US in 1941. He and Dostert decided to test various expressions and phrases from organic chemistry and a few general phrases for their machine translation. As decided by Dostert, the lexical database was very small, containing only 250 words and six grammatical rules. However, the aim was to show the application of machine translation when it came to morphological and grammatical problems, rather than provide vast quantities of word-for-word translations. The experiment was such a success that it was widely published in mainstream newspapers such as the Los Angeles Times, the New York Herald Tribune, and the Washington Herald Tribune as well as scientific journals and publications. The story later found its way into local and regional newspapers and excitement was so high that the authors of the experiment claimed that the problem of machine translation would be solved in a matter of three to five years. Though the estimate appears to be miles from the truth, the Georgetown-IBM Experiment raised the expectations of machines to translate natural languages and made machine translation a potential solution to the wonderfully beautiful and complex problem of translating languages. On Friday we started our look at the languages of Spain as Saturday was the Fiesta Nacional de España, Spain's national day. We covered two of Spain's regional languages, Catalan/Valencian and Galician, and today we'll be continuing our linguistic journey with more of the recognised, regional, and immigrant languages found in modern-day Spain. Whilst only spoken by around 1% of Spain's population, the Basque language, known as Euskara in Basque, is interesting as it's a language isolate. We discussed the interesting nature of Basque as a language isolate back in May. Since Basque is a language isolate, it is also the only non-Romance language with official status in Spain. Aranese is considered to be a dialect of Gascon, a type of Occitan. However, it does hold co-official language status in the Spanish region of Catalonia along with Catalan. It was given co-official status as recently as 2010 and, as a result, is the newest of Spain's regional co-official languages. Today there are only around 5,000 speakers of Aranese, and whilst there are estimated to be between 100,000 and 800,000 speakers of Occitan, Aranese is not considered endangered as the language has seen somewhat of a revival since it has been taught alongside Spanish in schools since 1984. Though the name may sound similar to Aranese, the Aragonese language is another distinct Romance language with around 10,000 speakers. It doesn't hold co-official language status but it is recognised as a language native to the region of Aragon. Astur-Leonese is a group of mutually intelligible languages. Central Asturian is the principal dialect of the Astur-Leonese languages and is spoken natively in central Asturias by around 100,000 people and understood by around 450,000 people. Western Asturian, also known as Leonese, is spoken in western Asturias as well as Castile and León, principally in the province of León. The language is also present in parts of Portugal, where the Mirandese dialect is used. There are around 15,000 people who speak this form of Astur-Leonese. Due to its geographical proximity to other languages, Astur-Leonese also has various dialects that are considered transitional languages between Astur-Leonese and other Romance languages. As you approach Galicia, you are more likely to encounter Galician-Asturian, which has been proposed to be either a dialect of Galician, a dialect of Astur-Leonese, or its own distinct language, known as Eonavian. Eonavian is spoken by around 45,000 people. Sede de Caja Cantabria, Santander. In Cantabria, the transition language between Astur-Leonese and Castilian Spanish is known as montañés, or Cantabrian. Only 3,000 people are considered to be speakers of Cantabrian. In the region of Extremadura, there is another transitional language between Astur-Leonese and Spanish, but here it is known as Extremaduran or estremeñu. This version of the language is said to have around 200,000 speakers, but it is very difficult to measure as there is not a clear consensus on the boundary between the Spanish spoken in Extremadura, castúo, and estremeñu. Spain has various speakers of immigrant languages principally owing to immigration across Europe, and because of Spain's historic empire, many speakers of Latin American Spanish. Languages such as Arabic, Romanian, English, French, German, Italian, Bulgarian, Chinese, Portuguese, and Javanese are also spoken by immigrant populations and communities. Today we'll be looking at the languages spoken in Spain as tomorrow is the country's national day, known as the Fiesta Nacional de España in Spain's principal official language, Spanish. Since we covered the Spanish language as one of our first language profiles, we felt today would be best suited looking at the other languages spoken in Spain. Since Spain is made up of autonomous communities, certain languages, particularly those native to a certain region, can hold co-official status with the national language, Spanish, also known as Castillian Spanish. The Catalan language is principally spoken in the autonomous community of Catalonia, known as Catalunya in Catalan. The Catalan language is a descendant of Vulgar Latin, which was spoken in the regions surrounding the Pyrenees during the time of the Roman Empire. As a relative of Occitan, which is principally spoken in France, Catalan shares more similarities with other Gallo-Romance languages such as French and Italian than it does with its geographical neighbours on the Iberian peninsula, such as Spanish and Portuguese. Valencian Community near its border with Catalonia. In the Valencian Community, the language is known as Valencian, or to use its endonym, valencià. This has been subject to much debate amongst those in the Valencian Community and Catalonia and as it stands, both Catalan and Valencian are considered the same language and different languages. Some linguists even believe that they are immensely similar languages that just so happened to evolve identically side-by-side and become mutually intelligible, though we're a bit sceptical of that last one. The Catalan/Valencian language has a total of 7.2 million native speakers and the regions where it is spoken are home to some of the highest levels of bilingualism in Europe, not to mention being the largest communities where the main spoken language is not a national official language. Galician, which is another language that may or may not be a language, is spoken principally in Galicia. As a close descendant of Portuguese or arguably a dialect of the language, Galician shares many qualities with the Portuguese language. In the 13th century, the language known as Galician Portuguese diverged to become what some linguists say is now the Portuguese language and the Galician language. Other linguists believe that the two are part of a dialect continuum that includes Galician, Portuguese and rural dialects of both languages which are mutually intelligible between one another. In Galicia, around 58% of the population are said to speak Galician as their first language, while over 3 million people are said to speak the language natively worldwide. On Monday we'll be back with more regional languages of Spain and some of the prominent immigrant languages that have shaped the culture, history, and modern lifestyle of the country. On Wednesday, we were looking at the events that led up to the reunification of Germany. Though we didn't get onto the languages of Germany, we did enjoy looking at the rich and interesting landscape of contemporary German history. Today we're straight back into languages as we look at the languages of this fascinating nation. Of course, German is the principal and official language of Germany with over 95% of the population speaking German as their first language. Statistics for Northern Low Saxon are also included as part of Standard German, though Northern Low Saxon is considered a recognised regional language in Germany. The Romani languages consist of seven distinct varieties: Balkan Romani, Baltic Romani, Carpathian Romani, Finnish Kalo, Sinte Romani, Vlax Romani, and Welsh Romani. In total, Romani languages have around three million speakers. Sinte Romani is the variety found in Germany, and is spoken by around 80,000 people. There are estimated to be around 320,000 total speakers spread across Germany, France, Austria, and Italy. Interestingly, Sinte Romani is heavily influenced by the German language and is not mutually intelligible with the other varieties of Romani. The Sorbian languages are spoken by a group of 50,000 Slavic people known as the Sorbs. The two varieties, known as Upper Sorbian and Lower Sorbian, are spoken in Saxony and Brandenburg respectively. 40,000 of the speakers reside in Saxony and speak Upper Sorbian, whereas the remaining 10,000 are speakers of Lower Sorbian in Brandenburg. Islands in Germany's state of Schleswig-Holstein. The Danish language can be heard in the northern region of Schleswig-Holstein, the German region that unsurprisingly borders with Denmark. Only 0.1% of the population of Germany are speakers of Danish. However, this amounts to around 50,000 people. The Western Germanic language of North Frisian is spoken by around 10,000 people in Germany, principally in the Schleswig-Holstein region where we encountered Danish. Naturally, North Frisian is related to West Frisian, which is spoken mainly in the Netherlands. There are several other languages that are native to particular regions in Germany. Languages such as Limburgish, Luxembourgish, Alemannic German, Bavarian, and Low German. Many of these are considered to be dialects of either German or Dutch, or precursors to the modern variant of German spoken in the country today. Due to immigrant populations, Germany has sizeable populations for whom German is not the main language. This includes speakers of Turkish, Kurdish, Russian, Arabic, Greek, Dutch, Igbo, Italian, Polish, Serbo-Croatian, and Spanish. In preparation for German Unity Day, the day honouring the unification of West Germany and East Germany in 1990, we're going to be looking briefly at the history prior to this event. On Friday we'll be looking at the languages spoken in Europe's most populous country. 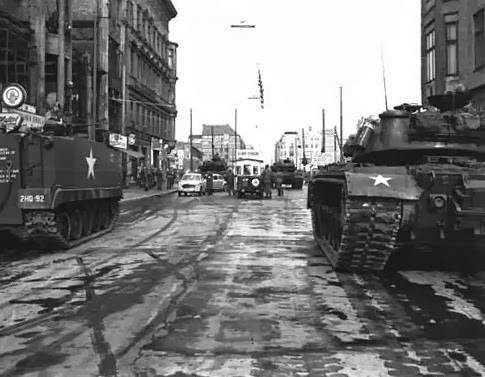 Following the Nazi defeat in Germany during WWII, Allied Forces occupied a large portion of Western Germany. The US held Bavaria and Hesse in the south, France held a portion of the regions in the southwest and the British Zone of Occupation was in the northwest. The remaining regions were occupied by Soviet forces and from 1945-1949 Germany would remain divided between the Allies and the Soviet forces, exacerbating tensions between the West and the Soviet Union. From 1949 the American, French, and British zones of occupation were unified as what was known as West Germany or the Federal Republic of Germany. The Soviet Zone of Occupation would become East Germany or the German Democratic Republic. 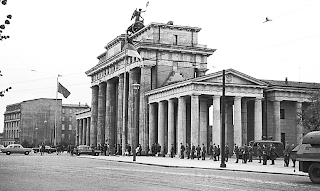 The German capital, Berlin, was divided between the four nations, with East Berlin held by Soviets and the western parts of the city under the occupation of Allied forces split between the US, the UK, and France. Though Berlin's location meant that it was entirely within the Soviet Zone, it was never considered wholly as part of East Germany. 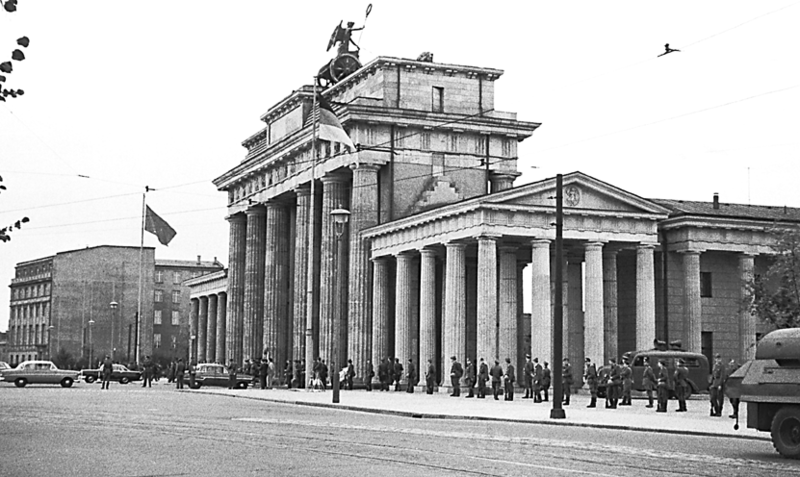 The Brandenburg Gate, 13 August 1961. The day the Berlin Wall was erected. From 1949 to 1990, Germany and Berlin remained divided thus. The erection of the Berlin Wall, which started in 1961, put great strain on the relations between both East Germany and West Germany, not to mention between the West and the Soviet Union. The Berlin wall spanned 155 kilometres (96 miles) along the border of East and West Berlin. The wall effectively stopped all immigration from East Germany to West Germany until 1989 when, though the physical wall still stood, East Germans were allowed to pass into both West Berlin and West Germany. The German people began chipping away parts of the wall and eventually, in 1990, the physical wall began to be torn down. Amidst the fall of one of the world's most fierce representations of separation and isolation between the West and the East, the movement for German reunification gained great momentum. As you know, the reunification of East and West Germany was formalised on 3 October 1990. We'll be back on Friday with our look at the languages of Germany.